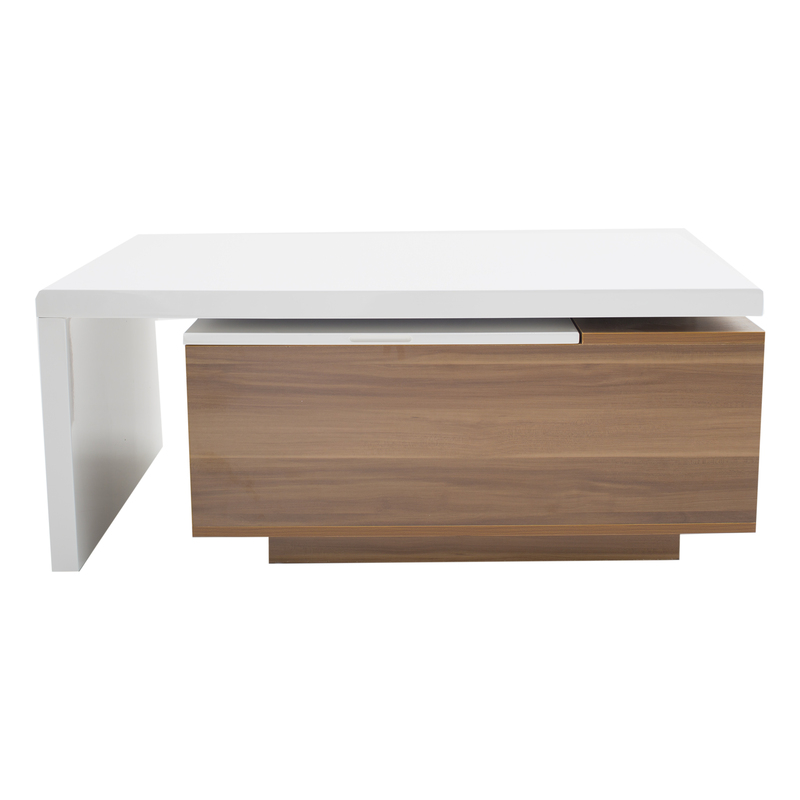 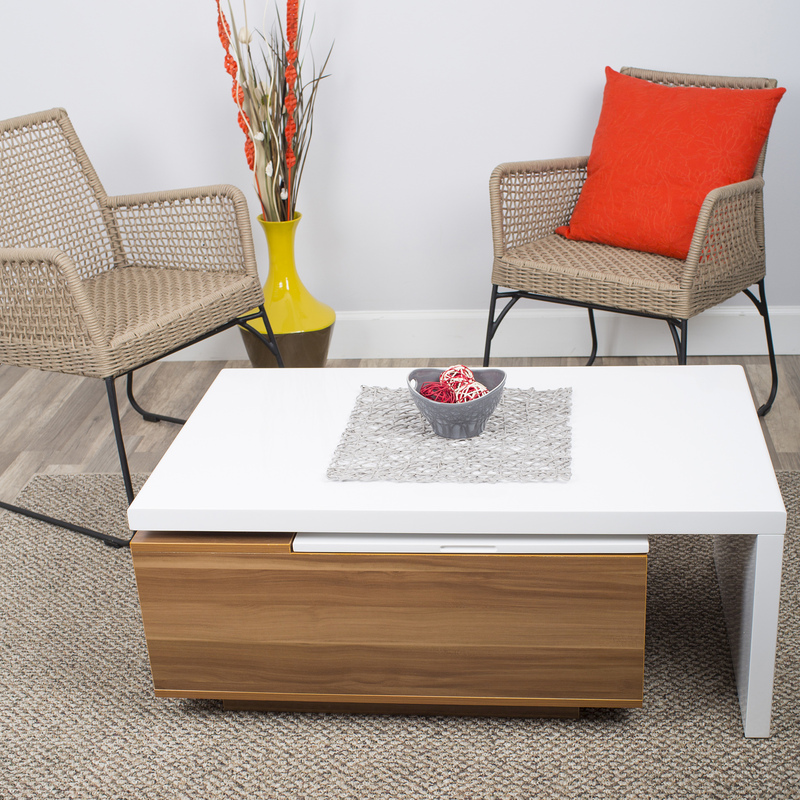 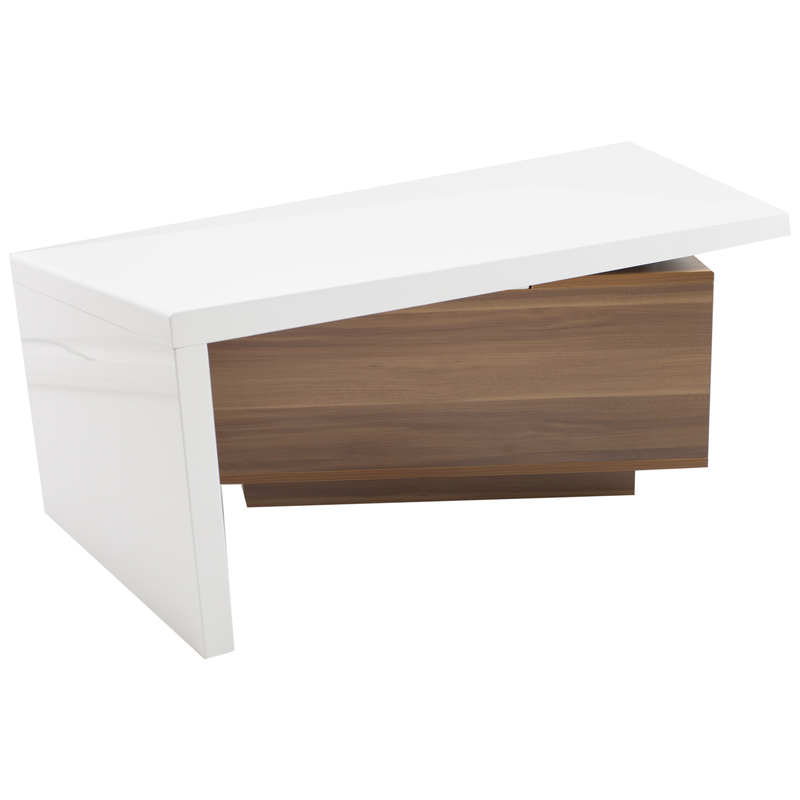 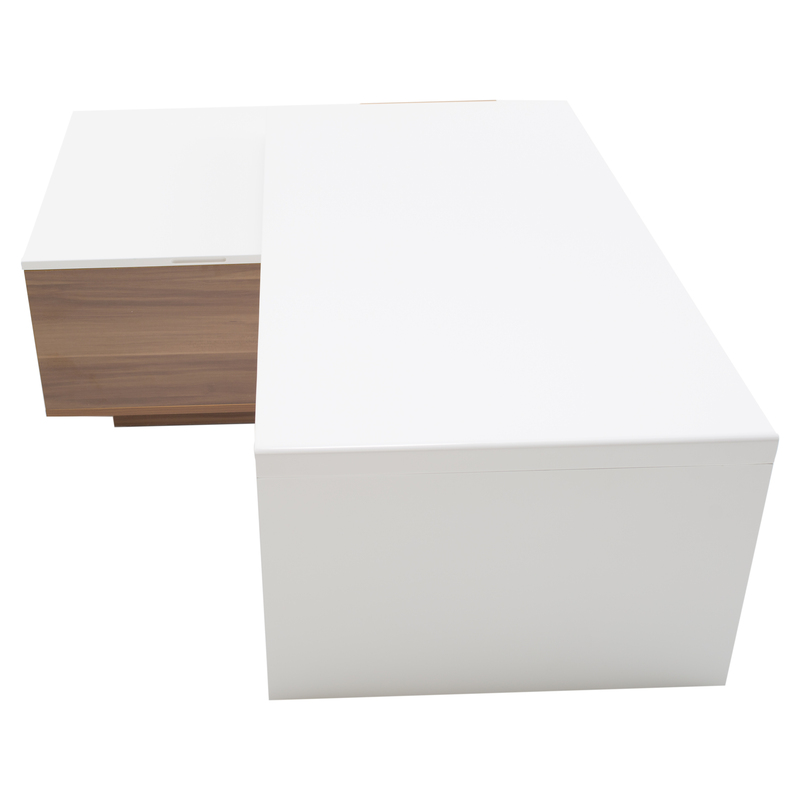 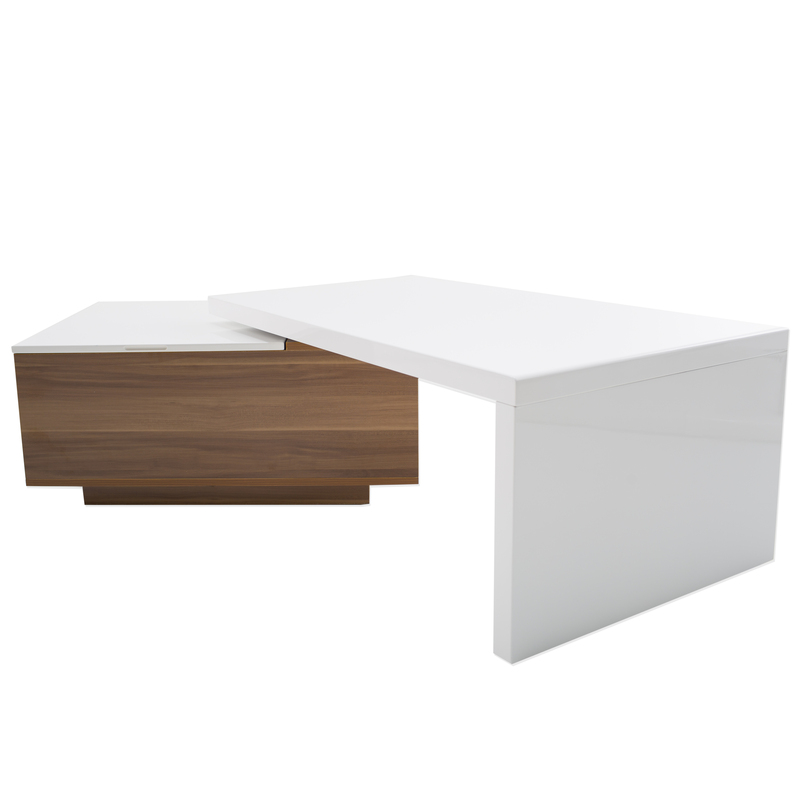 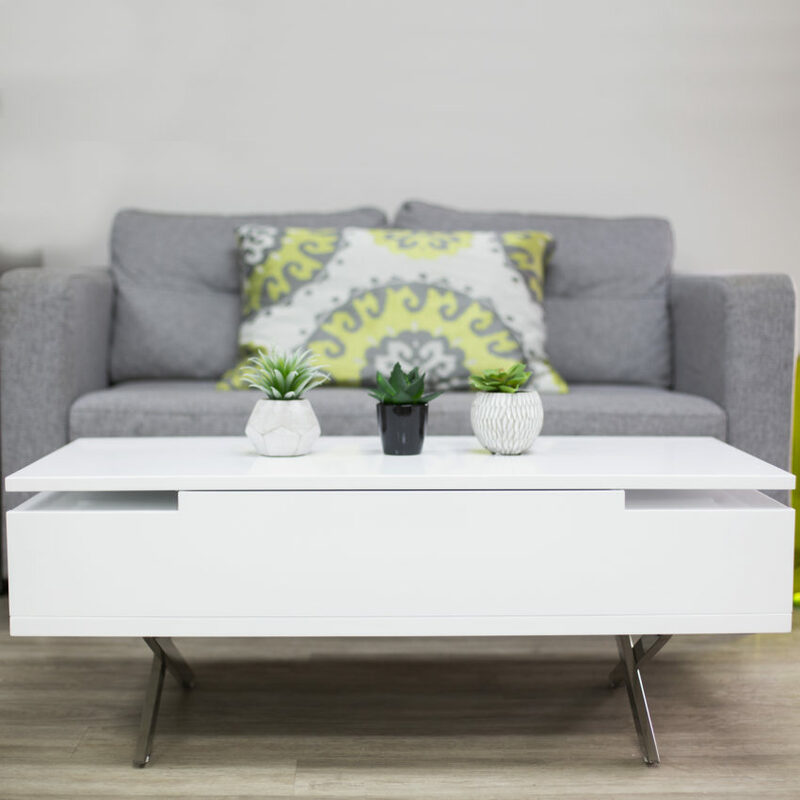 You can have it all with this white lacquer and walnut melamine veneer finish contemporary coffee table. 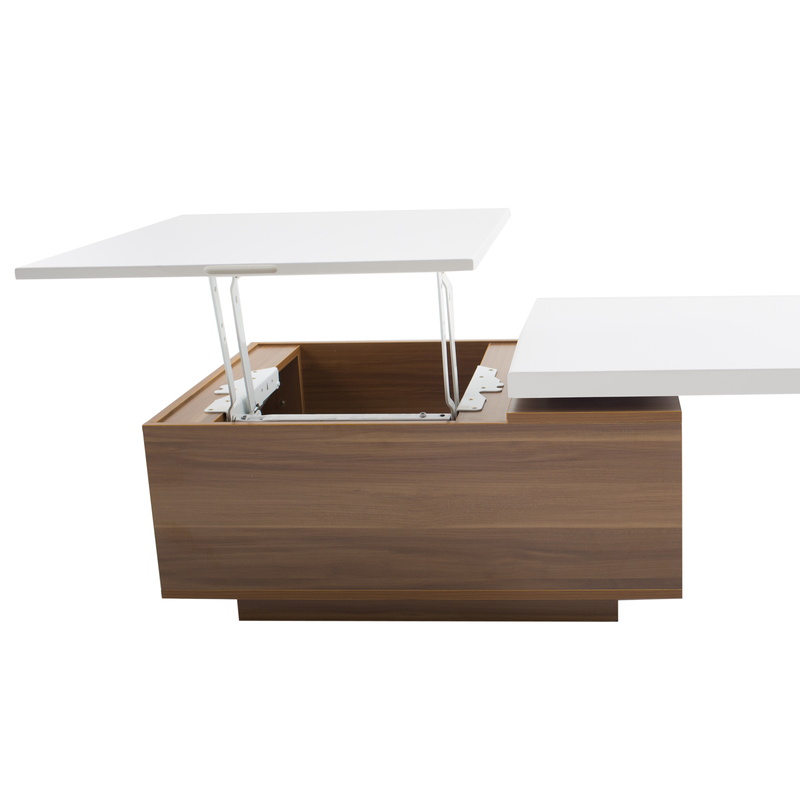 The 360 degree swivel will accommodate to the layout of your space no matter how big or small. 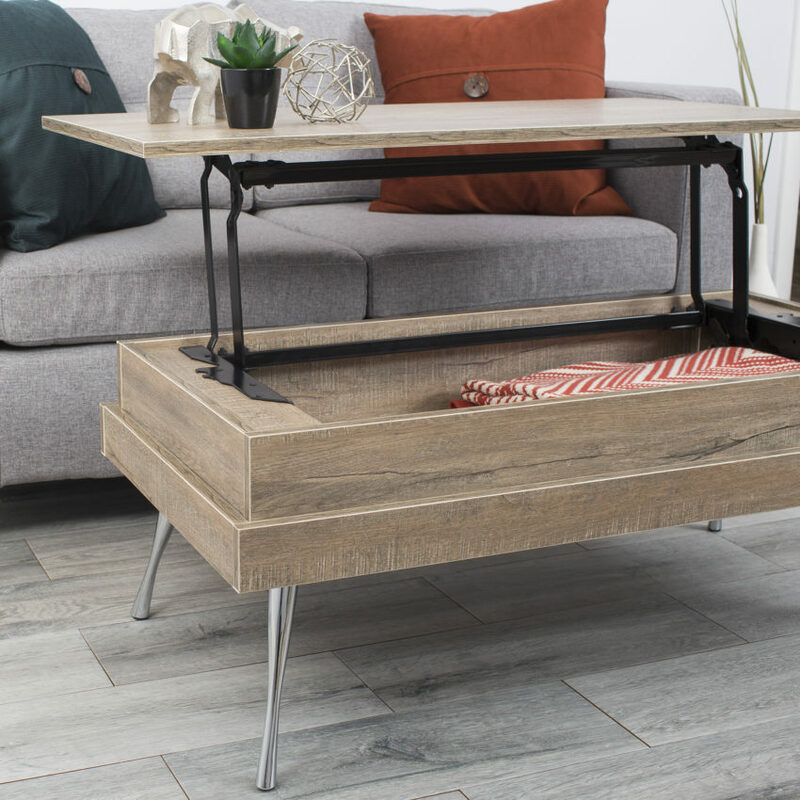 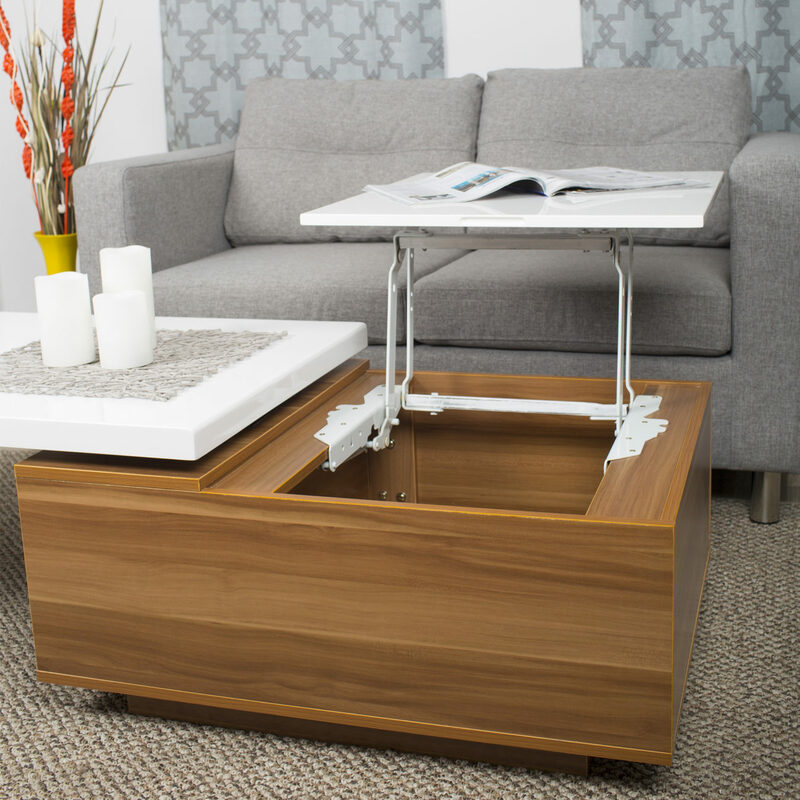 The hidden compartment adds even more convenience to this all-star design. 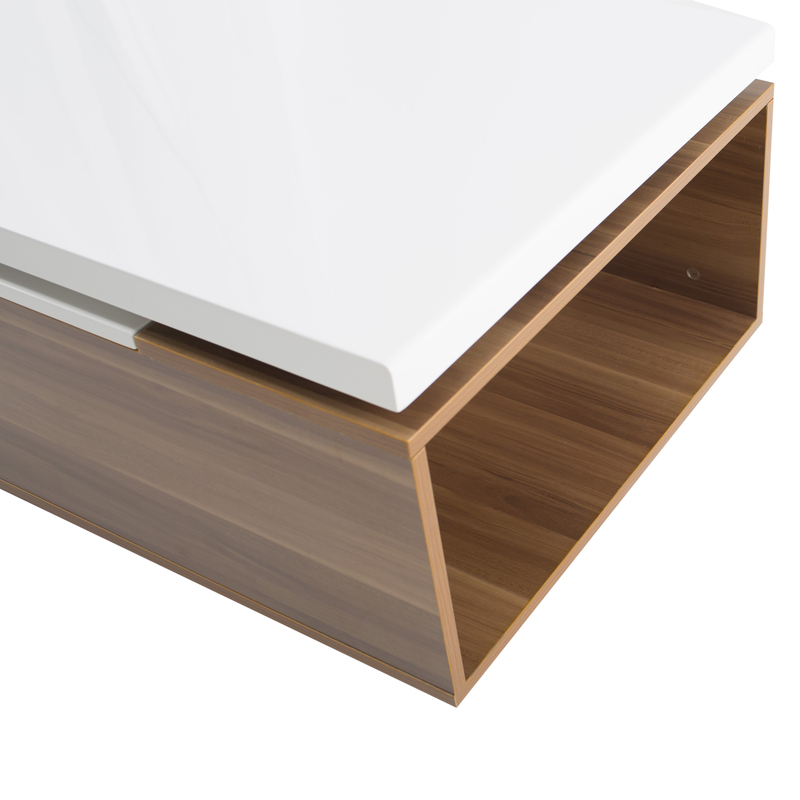 It will definitely have you rolling in great style.